Packed with vitamins, minerals, and antioxidants, spinach brings along several benefits for health. It promotes eye health, improves cardiovascular health, enhances mental functioning, and betters bone health. It also enables growth in children, and speeds up metabolic activity among other health benefits. Spinach has anti-inflammatory properties as well. However, this leafy green vegetable should also be consumed in a moderate quantity. Because over-intake of spinach can lead to a number of health problems. Spinach can trigger digestive problems such as bloating and diarrhea because it comprises of a high fiber content and certain carbs. Consumption of too much fiber can cause diarrhea. This is particularly true when you eat too much raw spinach. A better idea is to shred the spinach leaves into small pieces and make them into a smoothie. This way, the leafy green will be easier for your body to digest. For those who have ever faced kidney-related problems, they must be careful with their consumption of spinach. This is because the vegetable can cause mineral salts and acid to get collected which, in turn, can lead to the development of calcium oxalate stones. Therefore, spinach leaves must be eaten in moderate amounts. Spinach comprises of vitamin K which is necessary for the formation of blood clots as those heal injuries and keep one from losing too much blood. However, this same feature may prove to be harmful for those who are on blood-thinning meds. Spinach contains oxalic acid. This acid comes from spinach leaves and develops into small crystals. These crystals do not dissolve in water. This may lead to teeth coarseness after biting on raw spinach leaves. This condition is nothing to worry about though, because it is temporary and just brushing teeth properly and regularly can help get rid of it. Too much spinach can keep your body from absorbing minerals. This is because spinach contains oxalic acid which can bind with other minerals. This keeps the body from absorbing them which can lead to mineral deficiency. Mineral deficiencies can also cause other health problems. 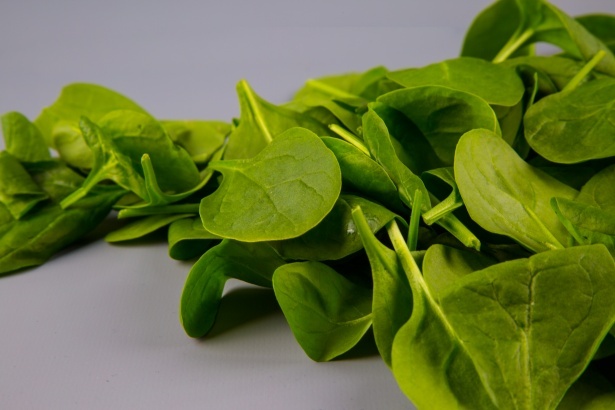 For instance, a deficiency in iron, which can be caused because of overconsumption of spinach, can lead to anemia. Spinach can also lead to joint problems such as gout. This is because spinach contains purines which, when get metabolized in the body, increase the amount of uric acid. This leads to inflammation, swelling, and pain. To sum up, while spinach has a strong nutritional profile and grants several health benefits, it should be consumed in moderation. This is because too much spinach can cause a number of health problems such as gout, anemia, mineral deficiencies, kidney stones, bloating and diarrhea.